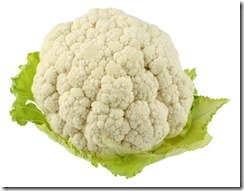 Cauliflower is another member of the Brassica family that comes into its own during April. The British typically eat the flower (or white curd) and discard the greens, although the leaves on cauliflowers are actually edible. Cauliflowers have a purple, orange and green variety, although probably not commonly found in most supermarkets. Cauliflower isn’t a vegetable that undergoes many scientific trials, but as it is a good source of glucosinolates, we can assume that its health-giving properties will come from these as well as its good source of antioxidant vitamins like vitamin C, betocarotene (converts to vitamin A), and other phytonutrients like quercetin and kaempferol, which have antioxidant properties. Many fruits and vegetables contain unique compounds called “polyphenols” that are showing to have strong antioxidant properties. Like all Brassicas, cauliflower is a good source of glucosinolates which we covered when discussing Kale. 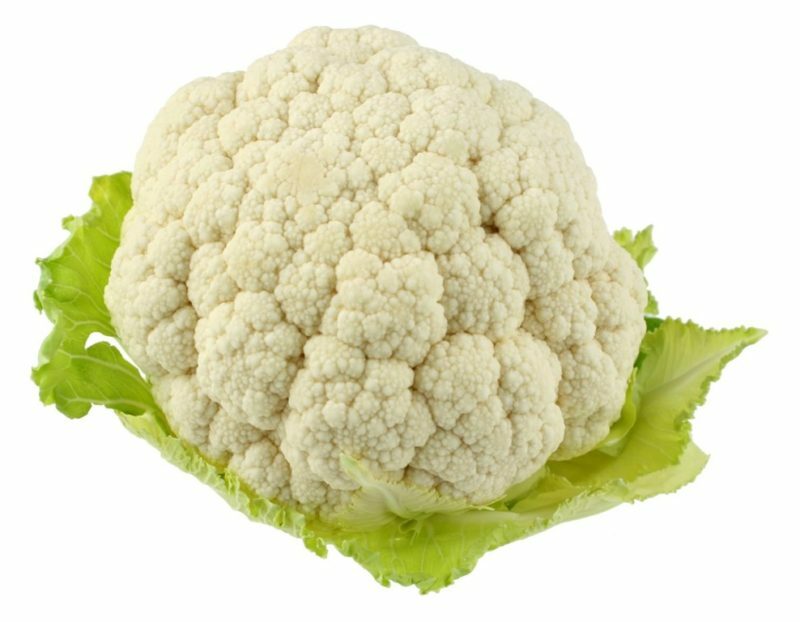 Cauliflower doesn’t contain as much glucosinolates as its green leafy cousins such as kale, sprouts or savoy cabbage, but together with these vegetables, it will certainly help increase them in our diets by adding variety. Cauliflower is easy to overcook, when it becomes mushy and unappetising. However, because of its ability to cook to a mush, it has become trendy to use cauliflower instead of potato to create a mash, either to eat as is, or to top pies. Roasting it whole and carving it into slices and drizzling it with olive oil is proving popular, as is this new trend for using vegetables as substitutes for pasta and grains; in the case of cauliflower, simply grating it and using it as a wheat-free couscous. Cauliflower is quick and simple to cook; you simply quarter it and steam it until just tender. The leaves are not good, although edible. However, apparently roasted they make great crisps! Most people steam or boil cauliflower, but that just water logs it. Here I’m adding a recipe for roasted cauliflower and I’m sure once you’ve done it, you’ll never cook it differently again. 2) Toss cauliflower, oil, marjoram, salt and pepper in a large bowl. Spread on a large rimmed baking sheet and roast until starting to soften and brown on the bottom, 15 to 20 minutes. 3) Toss the cauliflower with vinegar and sprinkle with cheese. Return to the oven and roast until the cheese is melted and any moisture has evaporated, 5 to 10 minutes more.